If weight loss is the key driving force behind your uptake of an active lifestyle then you need to be in it for the long haul. You need to carry out the activities and exercise which will have the best long-term impact on your body and you’ll need to ensure your diet matches up too. There will be blips along the way, there will be failures and adjustments but if you want long-term loss you need to be committed for the same time period. There will be times where it’s tough but if you are dedicated to getting to a happier more comfortable place for your body and mind then you will find a way through these moments. Before you get started it’s time to forget all those faddy diets, the lose weight quick claims and especially slimming pills. Although these quick fixes can be tempting they don’t stand up to the test of time and once the detox is over you’re primed to simply put the weight back on. Below are our key tips to keep in mind to lose weight healthily and permanently. Many people will tell you that weight gain is down to a slow metabolism. It’s something you can’t do anything about – it’s simply the way you were built. This is rarely the case. In most cases the main reason for weight gain is calorie imbalance. Eating more calories than you burn will result in continued fat and weight gain. Adopting a regular exercise routine and an active lifestyle will result in burning more calories on a daily basis and we suggest you walk for at least thirty minutes a day, every day, even when you work out. Comprehensive research has shown that success is more likely if you have one goal at a time. This means that although you want to lose weight, tone your body and increase your endurance you should look at each in turn. There are likely to be overlaps but trying to tackle everything at once won’t do you any favourites. The best and most simple goal to start with is simply burn fat. Work out in a way which will result in fat burning results and adapt your diet to suit. Both strength and cardio interval training need to be incorporated into your routine. 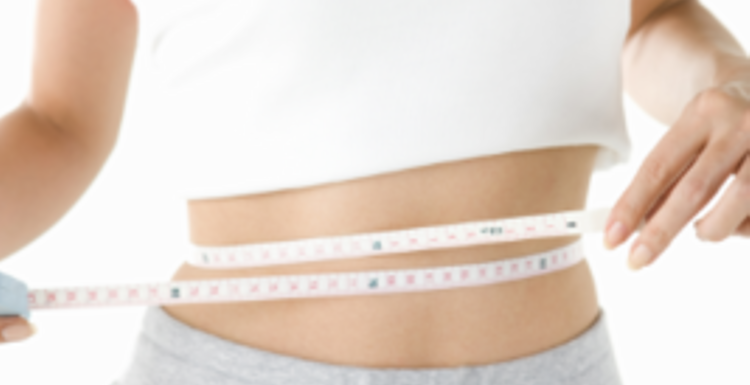 Don’t think about losing weight think about burning fat and see if your fat percentage reduces. We’ve discussed the importance of strengthening your core before but it is completely essential for achieving total body fitness. The weaker points of your body will have the chance to be worked on whilst simultaneously maintaining the strength in the rest of your body. A weak core can also result in injury and will mean you can’t keep your routine regular as you’re left resting. If you focus on multi-joint workouts when putting together your routine then you’ll soon see faster results. Multi-joint workouts focus their efforts on the major muscle groups of the body which in turn help you burn more fat. Multi-joint workouts including step ups, rows, bench presses, planks, lunges and squats. You can add weights to any of these workouts to make them tougher and for really effective intensive training consider running uphill or shuttle runs. Studies have repeatedly found that muscle mass will begin to decline by up to 40% between the ages of 20 and 65. Many of the complaints that come with ageing such as ligament stiffness, muscle inflexibility and bone loss are in part due to inactivity. You can limit the long-term damage of ageing and manage activity for longer by building up your muscle mass regularly. Many of these deteriorations are due to decreased muscle mass. You can actually limit the speed at which these symptoms take hold by incorporating regular strength and conditioning into your daily or weekly work outs. It’s been mainly proven that there are no benefits in spending an hour on a treadmill. Long cardio sessions just deplete your energy and don’t have a huge impact on fat loss. Instead high intensity interval training is suggested as it gives you the same level of fat burning training without the time wasted. High intensity interval training should be carried out at least twice per week to have an impact and it will work to speed up your metabolic rate and burn fat. Finding a method that works for you is the main aim. Once you have lost the weight you want to lose you can then rebuild your workout to maintain that weight and be proud that you’ve achieved your goals in a wholly natural way. Adopting a healthy lifestyle is far better for your body as a whole than any other fad method.